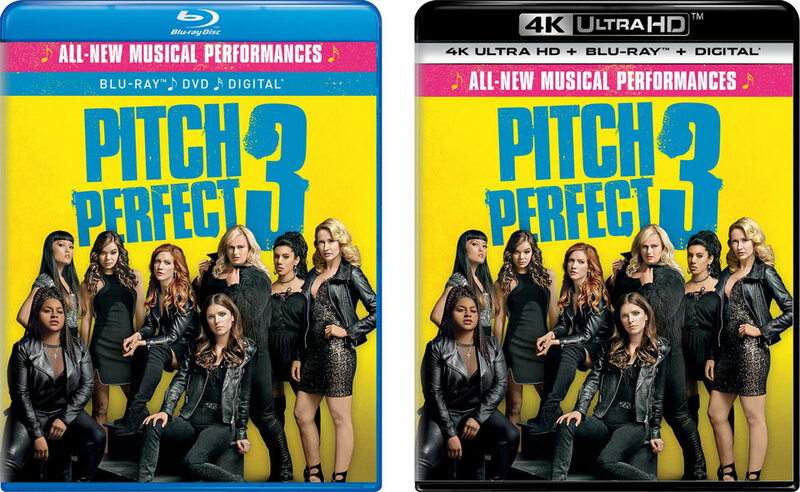 Pitch Perfect 3 will be released to Blu-ray, 4k Ultra HD Blu-ray and DVD on March 20, 2018. The film stars Anna Kendrick, Rebel Wilson who return to the franchise for its final chapter. The Blu-ray is formatted in 1080p at 1.85:1 widescreen aspect ratio with an English DTS:X, Dolby Digital 5.1 and Dolby Digital 2.0 soundtracks. The 4k Ultra HD Blu-ray features 2160p video at 1.85:1 with HDR color. The English audio formats are the same as the Blu-ray. With all new musical performances, bonus features on the Blu-ray Discs include a gag reel, deleted scene, The Final Performance, The Headliner: DJ Khaled, Don’t Mess with Rebel, and more. The 2-disc combo editions from Universal Pictures Home Entertainment also include a digital copy redeemable with Movies Anywhere.